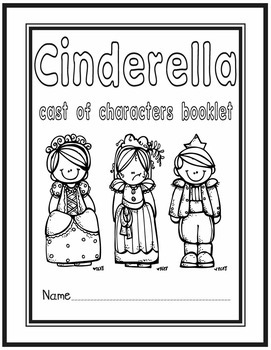 Cinderella Cast of Characters booklet will make a perfect addition to any fairy tale unit. 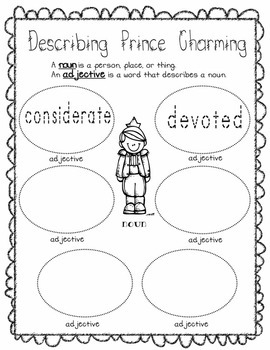 Students create their own cast of characters book by listing adjectives that describes each character in Cinderella. 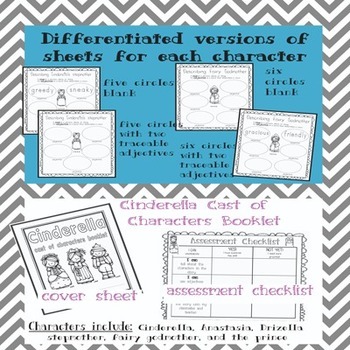 Each character has four different versions to help meet the needs of all students in your classroom! There are two blank cluster maps- one with 5 circles and one with 6 circles. There are also two cluster maps with the first two adjectives given so a struggling writer can get a head start by confidently tracing over the given words. Students will also have fun coloring the printer-friendly graphics by Melonheadz when they are finished writing the adjectives! 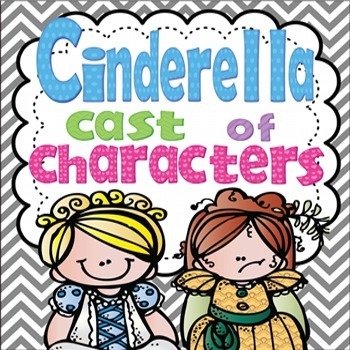 Check out other Cast of Character Booklets! Follow my store to receive notifications about monthly specials!